It was a bit of a logistical nightmare making it to Aston after dropping the lovely Vardags Saratoga at Hartpury in time for the trot up but thanks to our incredible team we made it with AMAZING VIII, MONARTS MASTERPIECE and Rebecca Salt’s and mum’s BAYANO all for OI runs. BAYANO was having a fun run ahead of his 3* at Millstreet and was a very good boy. 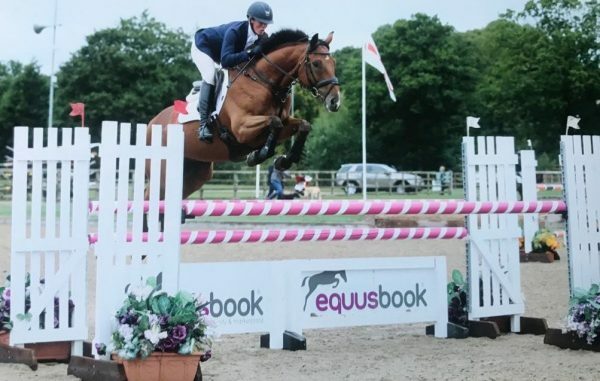 He felt rather too full of himself on the flat but nevertheless scored a 28 and jumped a lovely double clear inside the time to finish in 2nd. MONARTS MASTERPIECE was having his first run back following some time off due to a slight injury last year. He is such a special horse who was also lucky enough to spend his re-hab at Candletrees Equestrian. He scored a very respectable 30 on the flat, rolled the very last SJ and then jumped a lovely but very slow clear round XC. He felt like he had never been away so I absolutely can’t wait to get stuck into the remainder of the season with him. AMAZING was also having a steady run, she scored a 31 dressage and jumped a lovely double clear.